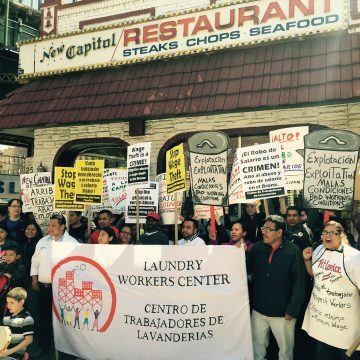 Laundry Workers Center is a not-for-profit, member-led organization that provides community-based leadership development to improve the living and working conditions of low wage laundry, warehouse, and food service workers in New York City and New Jersey. Our approach connects community and workplace justice organizing to support families, grow political consciousness, and build grassroots power that is socio-economically sustainable. Laundry Workers Center empowers low-income minority and immigrant communities via transformative organizing, educational training, civic participation and policy advocacy initiatives.